Every member of our family, Dr Medhat Ramzy (father), Dr Mona Ramzy (mother), Dr Anthony Ramzy (son) and Monica Ramzy (daughter) share a single vision for your smile: providing customised dental care that’s tailored to your individual concerns, budget and needs. 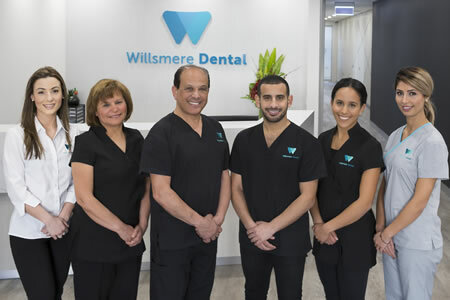 Although we have practiced in the inner city Melbourne community area for years, it wasn’t until 2017 when our family came together to establish our own, shared-vision dental practice at Willsmere Dental. Our family looks after yours, always being available to accommodate your needs at a moment’s notice and working with you to ensure your teeth stay healthy and looking their best. We have an on site oral health therapist and a team of qualified, experienced professionals which enables us to provide you with a full range of dental treatments in one convenient, central Kew location. As we designed our facility, we implemented the newest technology in modern dental care. Being that dentistry is ever-evolving, we researched the leaders in the industry, adopting equipment and techniques from around the world. From our sterilisation machines to the tools we use during root canals, everything that we’ve adopted promises the best and most efficient outcome available. Your opinion, needs and concerns are the foundation of every recommendation that we make. During your treatment planning process, we use high resolution intraoral photography to share our findings with you. As you look at the monitor adjacent to where you’re sitting, we can discuss what changes need to be made or steps taken next. Our Kew dental practice is open late, as well as on Saturdays for your convenience for all major, general and cosmetic dentistry services. We invite you to request your next visit with us today!